One of our best sellers in Svoronata! 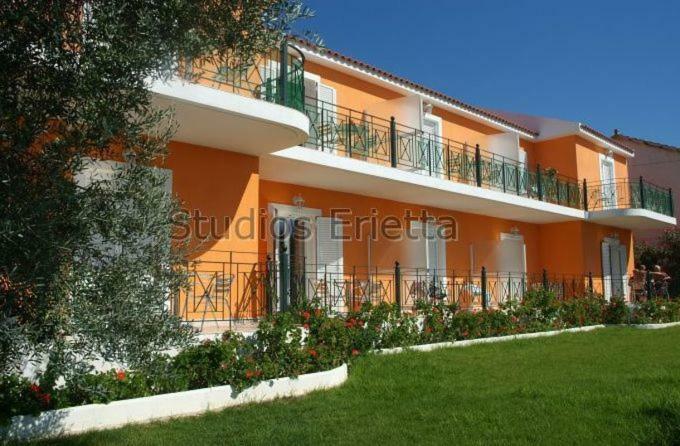 Within 0.6 mi from Ammes Beach, Erietta Studios is an Ionian-style complex offering studios with a private balcony overlooking the sea. It has a free-form swimming pool with poolside bar and serves continental breakfast in the morning. 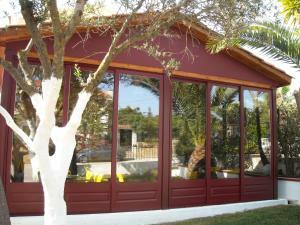 Surrounded by well-kept gardens, Erietta studios are air conditioned and have an private bathroom with free toiletries. Each unit features a kitchenette equipped with coffee maker, mini fridge and cooking rings. A TV is also featured. Guests can enjoy a refreshing drink, fresh juices and light snacks either at the poolside bar featuring a shaded seating area or at the indoor bar. Just 1,000 feet from Erietta, you will find a tavern serving traditional Cefalonian dishes. At 984 feet, there is also a mini market, where you can buy your daily essentials. The island’s airport is only 1,950 feet away. Free Wi-Fi and free on-site parking are provided. When would you like to stay at Erietta Studios? 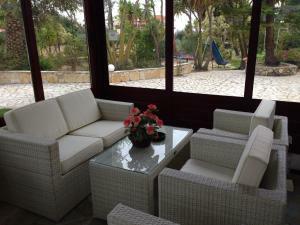 This air-conditioned studio is surrounded by well-kept gardens and overlooks the Ionian Sea from its balcony. It has a kitchenette, TV and free toiletries. This twin room features a balcony, kitchenette and kitchenware. House Rules Erietta Studios takes special requests – add in the next step! Please note that there is a free transfer to the beach twice a day, and to Argostoli Town at 21:00 and back to the property at 24:00. Please note that the swimming pool operates from the 1st of May and can only be accessed by the property's guests. Even though the rooms were basic they were not as clean as they should be. Hairs from previous people were all over the bathroom floor. Beds were hard. You had to hold the shower in one had whilst you was in there. The bathroom was flooded everytime after a shower. 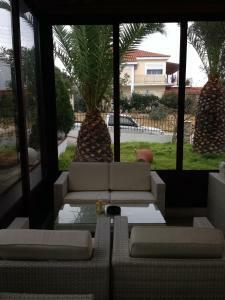 We was also placed in a block of apartments that was not on the booking. Com website so the furnishings was not as nice as the block next door where other people were staying. Pool area was stunning and very clean. Pool was a perfect temperature and clean. The owner Makis was welcoming and friendly. Also only a few minus walk to and from the Airport. Overall a very well kept place on the outside. Overall good value.